The lovely Happy wrote this post a while back and I keep reposting it at this time of year because I think it’s … perfect. Enjoy! From the smallest cell to the largest star, the cycle of birth, death, and rebirth is repeated. The rising of the sun at dawn, the blazing heat of midday, the setting sun … everything must die to rise again. This cycle is part of the continuous process of change; the ebb and flow of both the material and the spiritual world. Rebirth is recurrent in the teachings of the major religions, and in science, philosophy, mythology, nature … and music. Many of us have experienced rebirth in our own lives, both with and without music. But many of us here are united in a large part due to a musical rebirth. The instrument? 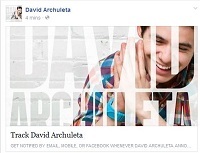 The voice of David Archuleta. Through David’s music, some have been reborn to the joys and power of music. A power that soothes babies, satisfies passions, inspires armies; offers catharsis, triggers memories; rekindles loves, offers peace and joy; and improves the quality of our lives. Music has the power to draw us into the present or to relive the past; it makes us feel connected. Music provides the harmonies of the senses that lead to the harmonies of the soul. 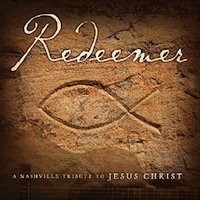 For some, the connections and harmonies found in David’s music spark a reawakening to old favorites … music of times past and the memories that live there. This is a voice that reminds us of what we have forgotten; it breathes new life into our hearts. To revisit our youth we call to mind our old 45s and LPs. We find that our rebirth leads us to reacquire these dusty gems via iTunes or by downloading mp3s and mp4s. We have been revived by the treasure trove that is YouTube. Still others have experienced renewal through a reintroduction to pop music. A music they were either never fond of or had long since given up on. Some haven’t listened to pop music in decades, or were always more Bob Dylan groupies or the Bach and Beethoven crowd. But extraordinary music cuts through genres, and David’s voice is extraordinary. This is a voice that makes us hear music as if for the first time; it awakens our hearts. We float on the river of melody, and hear the words as if they are sung only to us. 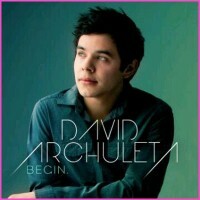 The recording industry will hopefully find itself refreshed by the rebirth in music that David Archuleta’s artistry represents; a return to musicianship, to technique; a return to restraint; a return to beauty in mainstream music. As a community we are fortunate to be standing not toward the end of the continuum but at the beginning. The music of David Archuleta has been an instrument of our rebirth and for this, we listen with grateful hearts. “In the midst of all the singing competitions, if you feel that you need to be reminded about what a passionate and gifted singer sounds like, then press play on the video above. 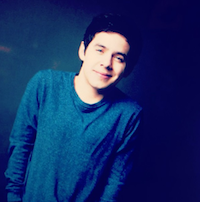 I guarantee you that David Archuleta’s performance of his new song, “Forevermore” will move you in a very special way. He sings like angel and communicates this song with sensitivity and artistry. Those ascending scales in the melodic line are vocalized by David with expressive clarity and precision He really understands the importance of head voice – he moves up and down through the melodic line with pitch-perfect ease and consistent focus. His voice sounds seamless and pure at every step of the way during this performance. Play this song before you head off to bed. David’s soothing voice will relax and inspire you before you sleep. Or, if you are reading this during the day, then rest assured that this video will absolutely banish any level of stress you are presently experiencing. Oh just love MCs review of Forevermore. She has a wonderful way of telling it just like it is. Love her reviews…and yes, listening to David sing will banish your stresses and take you to a very sweet, sweet place. “One in a million plus”…..oh yeah. Also love this post, written by Happy!. Don’t recall ever reading it before. What a beautiful expression of all in life that leads to change and rebirth. David’s music has definitely had it’s effect on so many, with life changing results. So well written and I agree, this is a perfect time to read those lovely words. 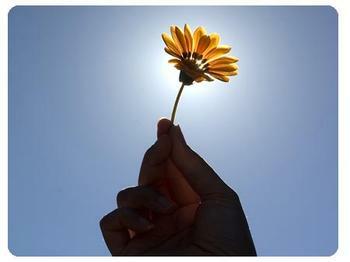 Spring is like a new beginning, new life! New music! Certainly new experiences and changes for David at this special time in his life. Thanks for the lovely read and a very Happy Easter weekend to all. Love abanana’s special coloured Easter eggs too, awesome! YES!!! FOREVERMORE is now NO.1 at MYX!!!! Way to go!!!! Fantastic! Yes, all it takes is a bunch of DA loving go-getters!